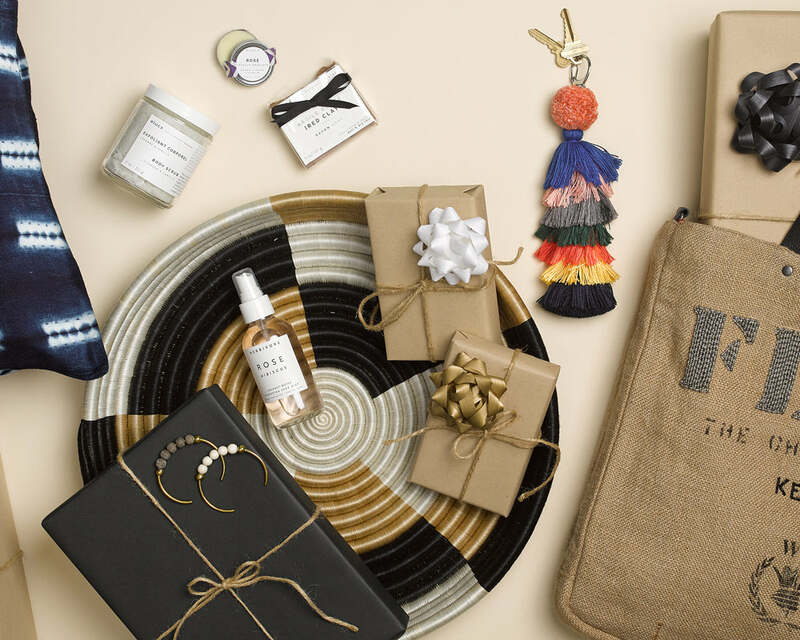 We rounded up a list of beautiful, sustainable, good-for-the-world gifts that are guaranteed to impress everyone on your list. They’ll have no idea how last-minute your shopping was. Win, win. A beautiful throw pillow is always a great gift. This specific one ups the ante. 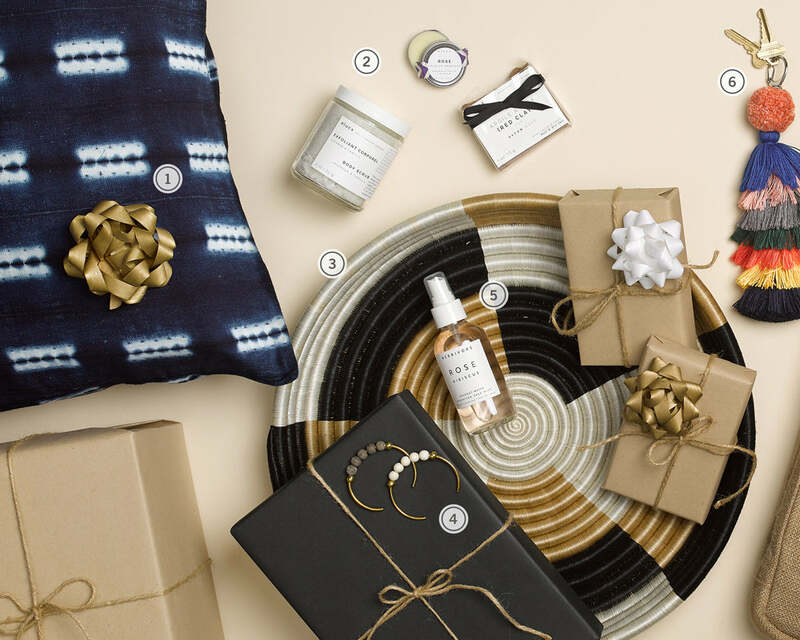 Hand-woven from cotton panels and dyed with indigo powder from the indigofera tinctoria plant, this gift definitely checks the “all natural” box. What’s better than a gift certificate to a spa? A set that allows you to pamper in your own home. The epitome of self-care, everything in this gift set is hand-crafted in small batches, using organic, sustainable ingredients. The perfect fix for all of those loose earrings, rings and do-dads all over your dresser. We’re guessing your accessory-enthusiast friends will appreciate too. We also love that it’s handcrafted in Rwanda. Each tray takes three whole weeks to make. We can’t think of anything that makes a better gift than jewelry. Even better if it’s artisan-made jewelry, like our Jenny Cuff. Handmade by skilled Kenyan makers, out of brass and hand-painted wooden beads, it’s the perfect standalone cuff or stackable accessory. Ah, the gift of a hydrated and refreshed face. This face mist is the perfect stocking stuffer and especially crucial during the brutally dry winter months. It’s all natural, smells delightful and boasts a hydrating base of coconut water. We’ll leave it up to you to decide whether this is a bag charm or a keychain. Either way, it makes a bright and cheery gift. Personally, we use it to locate our keys easily in our overstuffed totes and gym bags. We were so excited to introduce this new, sparkly-silver, metallic version of our beaded Kenya Bag, knowing how beloved the original is. It certainly has garnered a fan club of its own since its debut. Perfect for your design-savvy friend, who will appreciate all of this bag’s unique and artisan-made charms. As always, don’t forget to add a tassel! We made this one special for the festive, winter months to add a little sparkle to your bag. 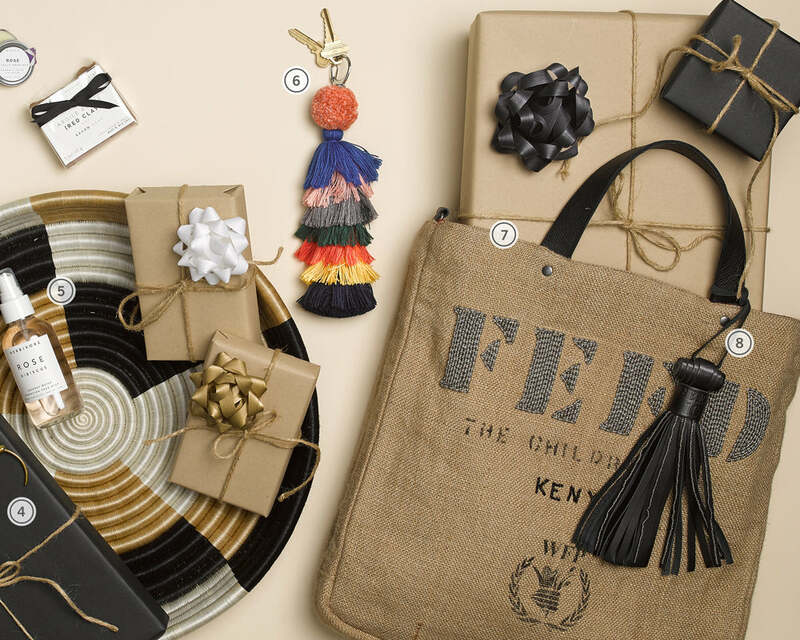 Plus, each tassel provides 25 school meals, so it’s a very impactful little add-on to your gift.